Agba Akin No dey fear! Senator Dino Melaye hits Lagos takes a stroll on bourdillion road! 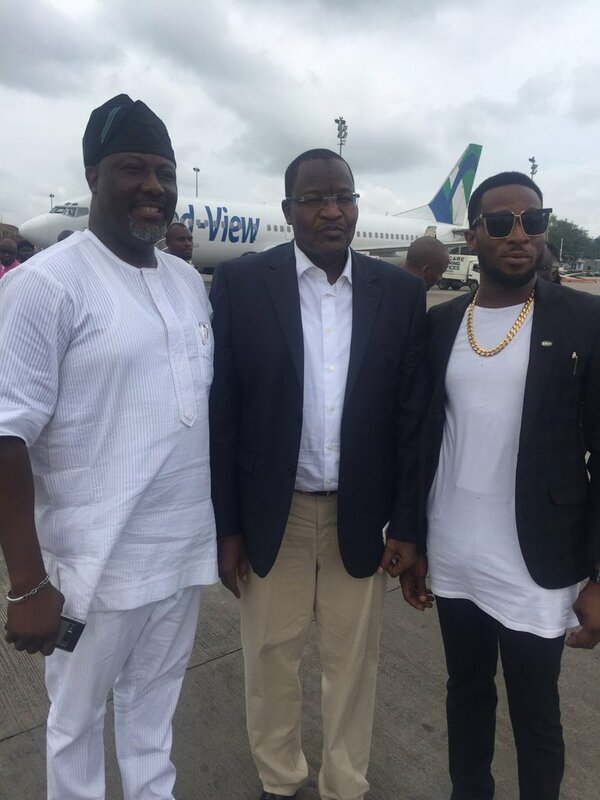 Meanwhile he took a photo with superstar Dbanj as he landed at the airport..